Have you ever won a contest? Called into a radio show? Combined the two and won a contest off the radio? 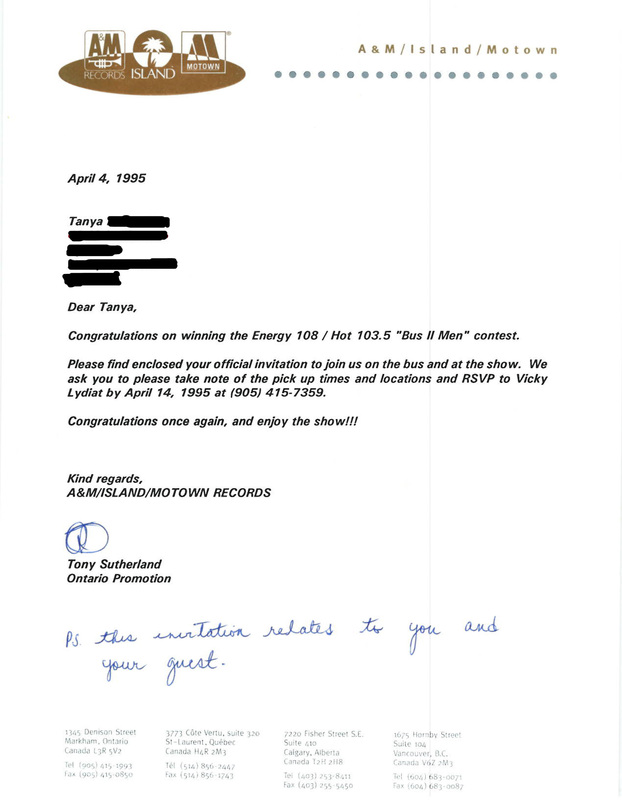 I used to be pretty lucky and used to call into our local top-40 station and I would win passes to shows, CDs, passes to nightclubs and more. I even a pool cue once. 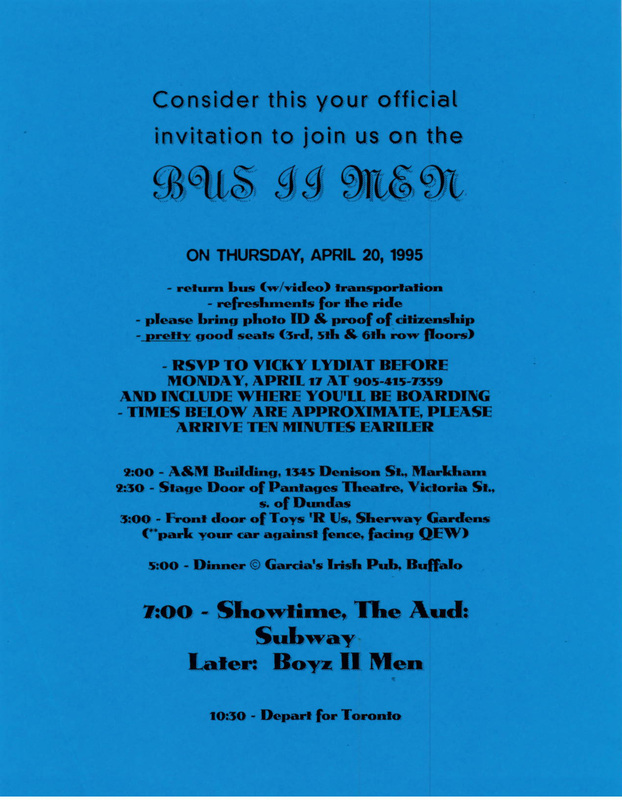 But the best prize I ever won was tickets to see Boys II Men in Buffalo, NY. It went a little something like this…. It was 1995 and I was in college. I was at home one day, doing some school work and listening to the radio. 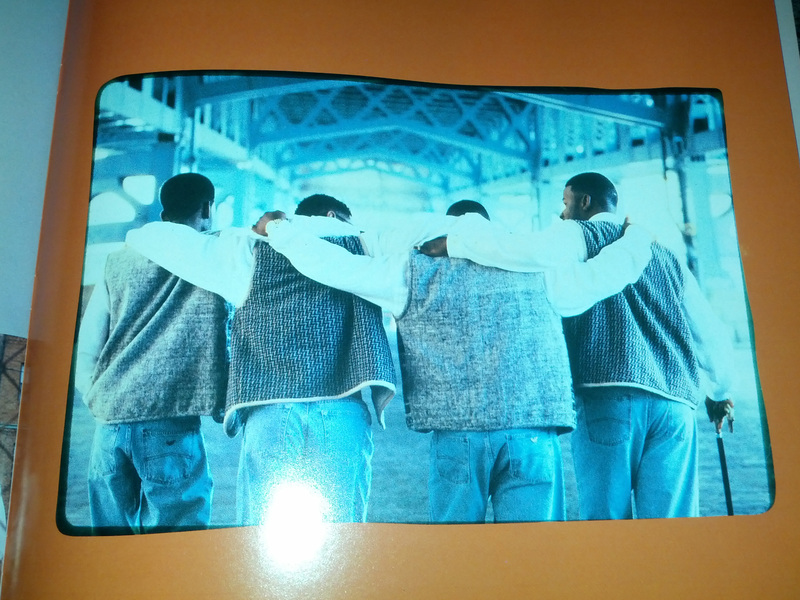 The DJ spoke of their Boys II Men concert contest, and asked for listeners to call in. To qualify, you had to tell them who they would bring with them to the concert and why. (Obviously it had to be something interesting). I remember picking up my phone and dialing the number and the phone rang on the first try. When the DJ answered, I gave him my friends name and my crazy reason was that she ate breakfast naked. (Please don’t ask me why I said that, because I have no idea.) But it worked, and qualified for an entry into the contest. I instantly called the radio station (because I had memorized the number) and asked them if my name was, in fact announced on the radio that morning. She said that it was, and I won tickets to see Boys II Men in Buffalo, NY. I hung up, turned on my heel and ran out of the newsroom, down the hall, up four flights of stairs to where my friend was, in class, trying to get an education. I stood at the door, doing some crazy-aerobic-signal-hand-motions for her to see me, and pretty much succeeded in leading all the people in her class into thinking I must have won the lottery, because of how I was acting. IT WAS BETTER THAN WINNING THE LOTTERY! She came out and asked me what was wrong. I told her I won the tickets, and we were going to see Boys II Men in Buffalo! So after doing a dance, her instructor congratulated me and asked me to leave, I waited for my tickets to arrive. A letter arrived shortly after (with my name spelled wrong, but I wasn’t getting picky) along with my official invitation and we were leaving in about a week. On the day of the concert, we boarded a bus with all the other winners and were off to Buffalo. Dinner was included with our prize and as we got there, the rep from A&M/Island/Motown Records told us that he was in talks to see if we could go backstage before the show. There was no promises, however if he got the word, we were to go right away. I swear, I remember sitting down and taking one bite of a chicken wing when the guy said, “let’s go.” And I was up! We were backstage before I knew it and met the group Subway (a Chicago-based hip-hop group), and Brandy (as in Moesha-Brandy), both who were opening for them. While we got to meet the opening acts, I was there for the big show. And I was going to wait patiently to meet Michael, Nathan, Wanya and Shawn (aka Slim). I remember the music rep saying that we missed the opening acts, and if we wanted to go to our seats, we could. I also remember asking him, “do they have to pass by this spot to get to the stage?” and the answer was yes. Eventually, Slim, Wanya and Nathan showed up. They apologized for taking so long and thanked us for coming and even congratulated us for winning the tickets. But where was Michael? (He was the one who sang bass, and was my personal fav) As the rep asked if they would take a picture with all of us, Michael showed up. He squeezed into the back, beside me. I don’t even remember the picture being taken. Then they said goodbye. We wished them all the best for their show and we went to our seats. Which were floor seats! What a view…what a show…what a night! The show was amazing! They were amazing! We boarded the bus, and thankfully the driver stopped for us to get something to eat, since we never actually ate that night. But it was worth it to meet them. I will never forget that April day in 1995. 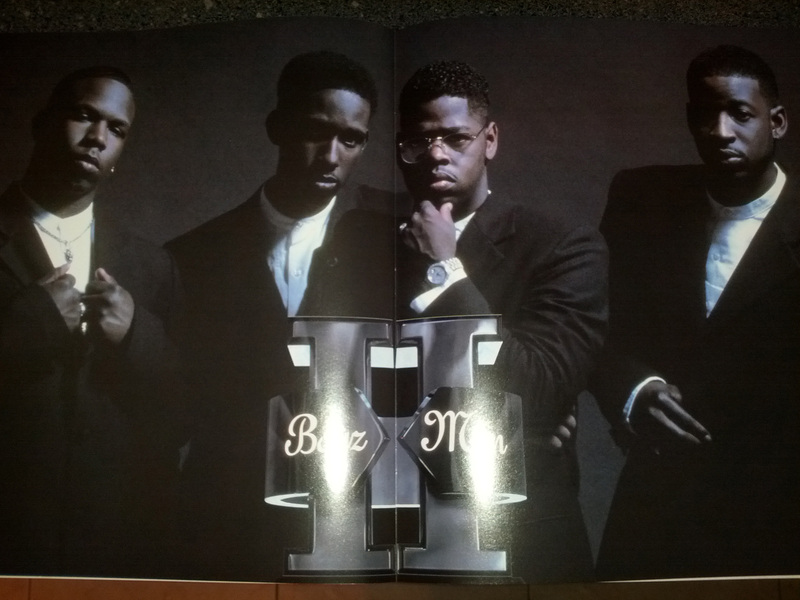 And while I don’t think that music rep ever sent us that picture, I know we took it. I know we met them. And I will remember it forever. So while I’m not going to meet them tonight. And sadly, Michael is no longer a part of the group, I’m sure they will be just as good. I’m sure the whole night will be great. And we’re comin’ through your town. And we appreciate you too, boys! See you tonight!